CSS3 has always been a good friend for web designers and since the inception of jQuery, they have made the web platforms easy and independent. They offer an insight to the most crucial factors of any web process i.e. inspiration via User Interface and Knowledge via Coding. After all, that’s all a web process is made of! New technologies are being launched everyday and some are revised or renewed. Till now, most of us would have come to know about CSS3 (Cascading Style Sheet 3). 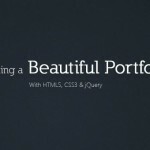 It’s very powerful and becomes awesome if mixed with jQuery. CSS3 Website Designs are popular worldwide and highly adopted. Let’s have a quick snapshot over these. Web design: What does it means? How important it is? 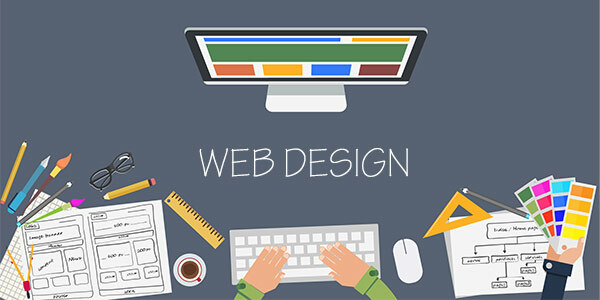 Web design, the term that refers to the quality of user interface and experience while interacting with the website, is one of the most important and often neglected elements of web designing. From small to large business, maintaining a positive user experience is important and it’s not difficult to attain as well! Implementing certain principles can help you prepare web content that is not only interesting and engaging but also looks inviting to the target audience, combating and eradicating their dissatisfaction. Maintaining Creditability: Always the layout and the content of any website should look fresh, engaging and accurate. There are numerous factors that play a role in establishing creditibility including Grammar, Syntax, Spelling mistakes, false facts, Wrong quotations etc. The tone of your business is depicted by such factors. Clear and Concise Design: Offer the visitors an uncluttered and clean look and make sure the website looks appealing to the eyes. Ideally, the theme of your business must be visible within a few seconds of the visit. Your homepage is the key promoter for your business. If the site is complicated and hard to use, the user might end up finding business somewhere else. 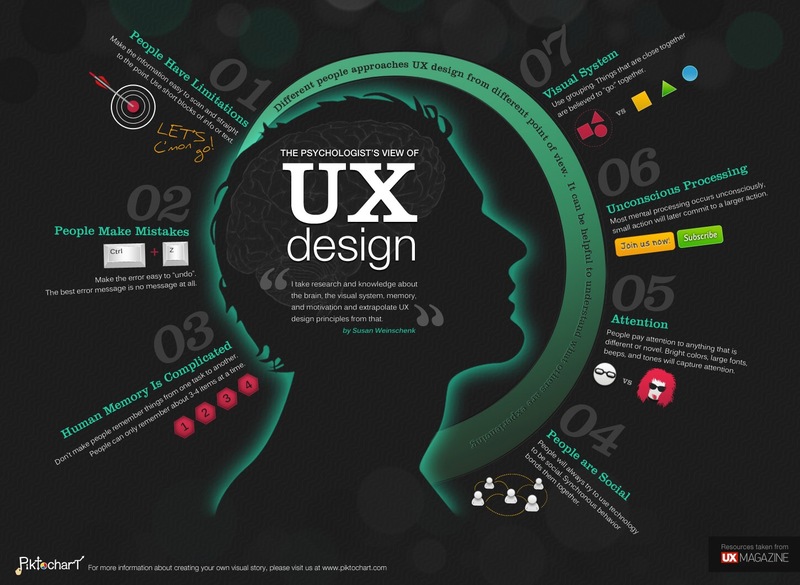 Understand and Know the User: User here refers to the target audience that is going to visit your website. Internet is the gateway to likely as well as unlikely customers. Understand them and then devise the design. For example, if your site is for small kids, make use of colors and images while if your audience segment is senior citizen than bigger fonts must be preferred for improving readability. Navigation is a must! : This is perhaps the most important element for web usability design. Navigation bar or navigation must be present and easy to use. Build it in such a way that it’s easy to get around your website. Optimizing the navigation bar is important as most of the users don’t want to dig into 4 5 levels of subpages to find their need. Promise Satisfaction: Your online relationship with your users often describes how well you are meeting their expectations and needs. If your design and quality seems satisfying to customers then you will get repeated business. It will directly influence your business bottom line. Overall Design: Throwing up lots of images, logos and text on a page will just make it mugged up and people or the users will get confused where to proceed to next. Stick to the basics and test whether a new user or customer will be able to gauge how to use your website. Don’t give them too many options at a single place. CSS3 is an extension to CSS2, the interface designing language that offers a multitude of new ways to create an impactful web design incorporating some of the best and highly important changes. It has opened a door to the world of new possibilities with standards. The earlier CSS versions were quite large and that’s why this time it has been divided into smaller modules including: Lists module, Box Model, Hyperlink presentation, Text effect, Background borders and more! 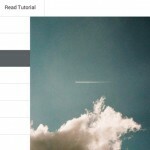 You can learn them via some CSS3 Website Designs tutorials. 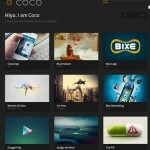 CSS3 introduces a wide array of Effective and Powerful CSS Tools that are used as web design resources. 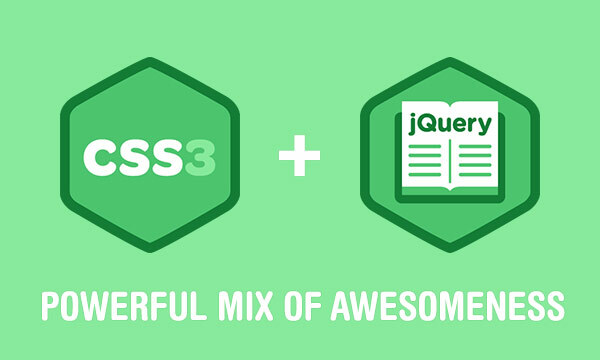 CSS3 and jQuery – How Powerful They Are? Let’s talk about the latest development which has been developed by mixing and integrating the Effective and Powerful CSS Tools and jQuery web design resources and results were just something new. Yes! We are talking about the “Responsive web design”. They are a hit, flexible, adaptable and what not! CSS3 makes use of grids and jQuery offers the portrait and landscape orientation which ultimately resulted in something that is omnipresent and uniform for all devices. To gain a better understanding on these concepts let us know more about the benefits of these web Design Resources as a standalone subject and what if best of both worlds meet! CSS3 specifies a web designer with a never ending list of formatting options like color, size, layout, font color, background color etc. It focuses more on style and design of a web page rather than the content or coding part. It can help to make aesthetic changes without a need of rewriting the code back to back. Simplifying the design elements: Though no matter how much CSS3 is powerful, it’s relatively simple to use web language. User friendly and logical modules are an extra added advantage along with a set of modules for customizable functions. Provides the optimum user experience and immersive elements to the designer. Each module of CSS3 contains new features and capabilities which were not possible in earlier version. The topping on the pie is that not only your website will acquire some great content via CSS3 but also it will look organized, laid out, attractive, and easy to navigate. It has come out as a great source for accomplishing critical website goals. As mentioned, measurable changes can be tweaked without the need of updating or changing code. 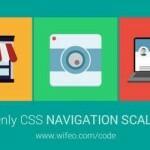 A bevy of effective and Powerful CSS Tools help to procure web tasks without re writing the codes. This has helped several on the go or Do it yourself kind of business owners who need to fix simple problems regularly. Its lean, mean and apt way to use the library! 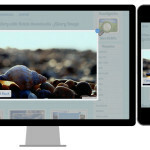 The library has minimized to the size of a small image and can be used over multiple pages without any hassles. It packs a lot in small size. jQuery seamlessly handles cross browser issues and we can develop websites that are prematurely or experimentally work on different browsers. With clean and powerful syntax, jQuery is simpler and efficient. 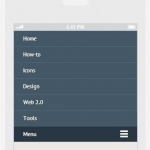 It uses the CSS3 selector for specifying elements which comes very easy. Highly flexible and extensible. 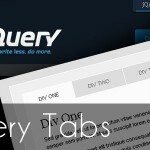 The library can be extended from regular to the official jQuery plugins to be used on your web pages and incorporate features. In fact you can find the required plugin already built by someone else. jQuery and CSS3 have been partner and built with an intention of creating websites that are suitable on different platform, browsers and easy to load! Websites that are developed with jQuery and CSS3 in place find support in all major web browsers of PCs, Laptops, Tablets, Smartphones and any other gadget. Its due to this independency and versatile features, they both have risen up to be the most preferred scripts when it comes to build a website. 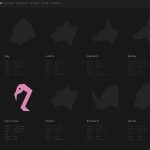 The latest release of CSS has a lot of added features, performance enhanced to manifolds and breathtaking modules for graphics helping new age modern websites. Ranking: Both layouts and good designs are important to get a rank on various search engine platforms that are highly advanced like Google, Yahoo etc. The website will be readable, clear formatted and semantic. If these important factors are in place than all the content marketing or social strategies will work. Otherwise all the efforts will be drained down. Both these scripts can be read well, are compatible across a range of web browsers and often a top choice of good ranking. Browsing Enhanced: Some of the features also enable to support offline browsing on your website. In fact, your website will act like an app even when offline. Your readers will be able to read and browse on the go when offline and the cache feature ensure a faster and hassle free performance in such cases. Platform Independency: Both the scripts offer very consistent and reliable platform independency feature and can be supported by all the major and latest releases of web browsers. Cost effective: The codes are reusable and thus significantly decrease the cost of development and maintenance. The hybrid approach is quiet effective in today’s time. Business Intelligence gets easier: It has become a lot easier, impactful and accurate with the release of latest versions. They can collate and make use of available data as well as track user’s movement. So, the verdict comes out that its best to make use of these available scripts. Hiring a web designer or outsourcing the right firms can make you leverage the right benefits in an impactful way. Web design companies are proficient in making the right use of Web Design Resources. They are well versed with the codes, libraries and all the tools that a language can offer.